D.I.G.S - CREATIVE ALBANY INC .
DIGS IS A COLLECTION OF CREATIVES WITH THE VISION OF ESTABLISHING AN INNOVATION NETWORK BASED IN ALBANY. DIGS WILL INITIALLY START AS AN ONLINE COMMUNITY AND WILL HOST NETWORKING EVENTS WITH FUTURE PLANS TO ESTABLISH An albany based CO-WORKING HUB. Harvesting energy from the Southern Ocean. February’s D!GS networking event provides an opportunity for you to see the ocean like a giant gateau - layers of wonderful opportunity to explore all stacked up! Science and engineering are helping us learn about the different energy characteristics of each layer, and we will share a snapshot of the innovative thinking currently being applied at the UWA Wave Energy Research Centre. This is an ideal opportunity to get an understanding of how UWA's academics are contributing to the worldwide search for sustainable energy and talk to both local and visiting experts. We will be taken on a journey from the ocean’s surface, where oceanography is the focus, to below the waves where hydrodynamics come into play, and finally to the depths and the seabed, where geotechnical engineering is a key ingredient in baking our beautiful aquatic gateau. Join us, and see the sea in a whole new light. Dr Hansen is a Senior Lecturer at the University of Western Australia in Perth. He completed his PhD in 2011 at the University of California – Santa Cruz and completed a postdoctoral appointment at Woods Hole Oceanographic Institution before joining UWA in 2013. His research focuses on waves, currents and sediment transport in the nearshore and how these result in coastal change. He has authored more than 30 refereed publications and is co-leader of the coastal processes research program within the UWA Wave Energy Research Centre. Dr Wolgamot is a Research Fellow, funded by the Shell Chair in Offshore Engineering at UWA in Perth. He joined UWA after completing a DPhil focussed on arrays of ocean wave energy devices at the University of Oxford in 2014. His interests are in wave-structure interaction, in both the offshore and renewable industries, and he is currently a Chief Investigator on Australian Research Council projects in both of these areas. He grew up in New South Wales and lived in Sydney during his undergraduate studies and a brief period working in industry on the marine side of Sydney’s desalination plant project. Prof Gaudin is a geotechnical engineer at UWA in Perth. He is the Director of the Wave Energy Research Centre in Albany and Head of the newly established Oceans Graduate School, a multi-disciplinary research group of about 100 oceanographers, structural, hydrodynamics and geotechnical engineers. He graduated with a Doctorate in Soil Mechanics from the French Ecole Centrale de Nantes in 2002 and joined UWA in 2003. His research interests cover offshore anchoring systems and shallow foundations, pipeline-soil interaction and similitude principles associated with centrifuge modelling, for which he has authored over 180 referred publications. He is currently spearheading several research initiatives associated with foundation systems for offshore renewables, with support from local and international industry. The August D!GS will be a special event, with Regional Development Australia inviting us into their new Great Southern office, in the beautifully renovated Co-Operative building. Join us for an opportunity to see inside this historic building, built by P&O Shipping agent William Clifton in 1870 to improve the welfare of the company's employees. Given the City of Albany’s ambitious plans to see the city powered from local renewable sources by 2026, Mitch Lever’s presentation will be a timely discussion. Mitch is an independent renewable energy engineer based in Albany, who has been working in the energy field for over thirty years. His specialties are the design of renewable energy technologies, enhanced energy efficiency and mathematical modelling of energy systems. Mitch was was a member of the winning team at Western Australia’s first Energy Self-Sufficiency Hackathon, hosted by Western Power earlier this year (see side bar) and there is no doubt the Great Southern is embarking on an era of heightened interest and activity in sustainable energy solutions. So what are our options for renewable power generation? Can we look towards our local ‘forces of nature’ and realistically see other possibilities? What mixes of energy sources might work and how do we pair these with the right technology? Mitch will be talking us through his thoughts on the opportunities ahead, and the fine balance needed between supply and demand. Dr Tash Ayers is an accomplished scientist with extensive experience in plant biology and agriculture, innovation, research commercialisation and organisational leadership – and as part of a farming family she also has deep roots in the country. Currently Tash heads up the WA AgTech Network and is Managing Director and Co-founder of AgriStart; which specialises in corporate innovation and entrepreneurial thinking in agriculture. AgriStart hosts the HARVEST Accelerator program, which targets late-stage start-ups and SMEs looking to scale their business, attract investment, develop new networks / partnerships or explore new export markets. Participants are mentored by expert growth facilitators who have high level expertise in corporate innovation, entrepreneurial thinking, agriculture and research connections. 8 participants successfully completed the first HARVEST program early this year. Tash has been working in this sector for a long time, and in this D!GS presentation she will give an overview of the Agtech scene in WA – looking beyond the hype at what is currently happening in WA and what new technologies are realistically coming for farmers. She will talk about which of the latest innovations could add value to farming and discuss how the disconnect between farmers and tech companies could be addressed with strategies to improve engagement. Agriculture is the dominant economic sector in the Great Southern, and this presentation will be of interest to innovators and enterprises with links to the sector as well as to farmers and growers. family owned and operated craft brewery Wilson Brewing Company will be hosting the MArch Digs. The Brewery has gone From strength to strength since opening, and Matt will give us an insight into the dark art of the ....Recirculating Infusion Mash System.... and just what it takes to build a customer base in such a competitive market. Join us for the chance to meet a Lost Sailor or even a Figure head! Riverdale Farm is a 100 acre property located on the banks of the Kalgan River which hosts Murray Grey breeders and has a large country garden including a kitchen garden, orchard, small vineyard and bee hives. Helen was working as a landscape designer and became frustrated by the amount of time spent at the computer when what she really wanted was to be in the garden more and bring the fruits of her labours to a wider audience. In 2014 she travelled to London to study Floral Design at the Zita Elze Design Academy in Kew, and over the next years she and her family have built their skills and vision to become a ‘budding’ farmer/florist business. 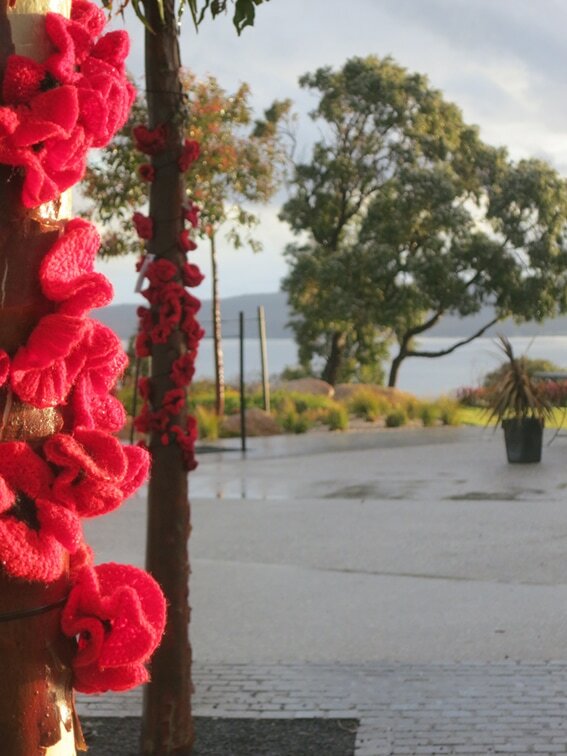 The aim was to grow flowers locally for a local market - offering seasonal and sustainably grown blooms and foliage. Farmer’s markets have become incredibly popular due the beautiful fresh produce they offer local communities. This trend is slowly moving to include floral material with many floral designers world wide opting to source their blooms locally rather than use flowers that have been flown long distances from other countries. Riverdale Farm flowers are grown and designed with passion and devotion, and have a natural, romantic aesthetic. As gardeners, Helen and Jim have an intimate relationship with the blooms they cultivate, their bloom cycle, natural form and character and most importantly their changes over the year’s seasons. Helen and Jim will talk about the challenges they have had, Jim’s innovative flower deadheading methods and the extraordinary beauty of local and seasonal blooms. Jumping in the deep end fully clothed, was how Kate Smith from Auraveda felt; "leaving my comfortable well paid job in sunny Queensland, moving to Albany was when my ideas truly grew, there was time and space with no interruptions to focus on Sage Repellent, all the creativity that was all inside of me, I just needed to work out how to get it out. I had offers from family and previous bosses to pay to have sage repellent tested but I wanted to do it all myself, luckily I didn't have to sell my house, going to the Albany small business centre really put things into perspective, having a professional second opinion to look over my product and show me what funding opportunities were available. The innovation voucher program was open for applications the week prior to me attending the Albany small business centre, it all lined up perfectly, I completed all the paperwork at home, submitted and waited, I'll never forget the email to congratulate me, 24 out of 300 applicants. My dream was starting to take shape. For anyone with a dream try everything, what ever your passion is keep going, people don't buy what you do, they buy why you do it, put your energy into what ever it is, it's the energy that makes what ever you have valuable. " 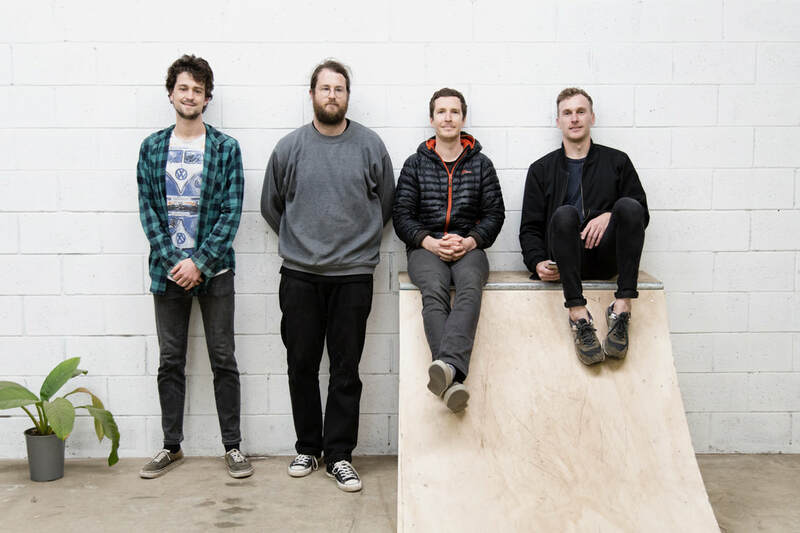 “[The Shed] is a shed, a workshop, a shared space, a creative den; occupied co-operatively by four local individual practitioners specialising in graphic design, illustration, photography, videography, moving imagery and content creation. [The Shed] began out of a common need to find a workspace that was inexpensive, open and spacious, (and with room to make a mess) so we could all move away from the home working scenario and into a collaborative and more social environment in which we could work and create. BY NURTURING CREATIVE INDUSTRIES AND ENCOURAGING INNOVATION, THE DIGS HUB WILL PROVIDE DESIGNERS, COMMUNITY ORGANISATIONS AND BUSINESSES WITH VIRTUAL AND PHYSICAL SPACES TO MEET, WORK, LEARN, COLLABORATE AND THRIVE IN THE GREAT SOUTHERN. 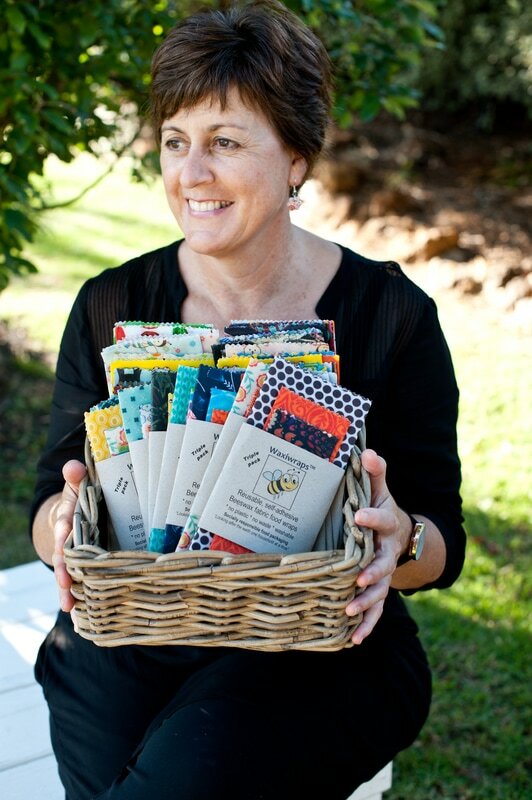 ​Just twelve months ago I was spending many hours in my kitchen playing around with raw materials, trying to work out what elements would be needed to create a self adhesive, reusable, washable, fabric food wrap that had pliability, was waterproof and had longevity (at the time I was working in TAFE admin and making cakes at the Alkaline Cafe). 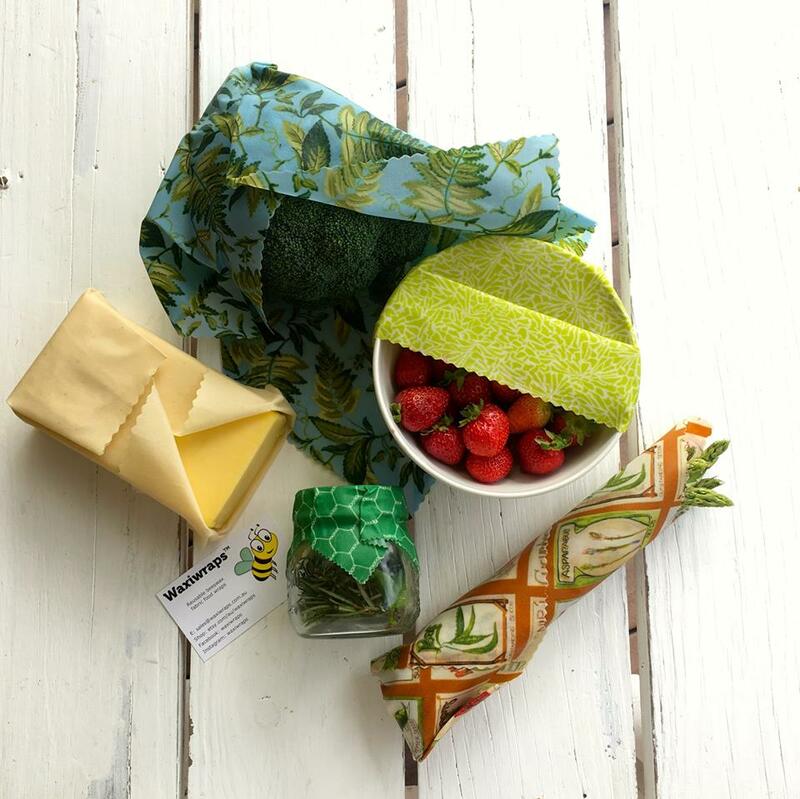 I knew that Western Australia had a good reservoir of pure, chemical free beeswax and that this byproduct could be used in an upcycled product that could help everyday householders reduce their use of cling wrap. This is the one focus of Waxiwraps: to "look after the earth one household at a time" with the specific task of providing food wraps in various sizes to the market. One night, when my two teenage sons asked her if the kitchen would ever be used to cook food again, MJ moved the experimental phase out into the back shed and Waxiwraps began to take shape. Additionally my eldest son Jason came to stay and became an active member of the Waxiwraps development team. 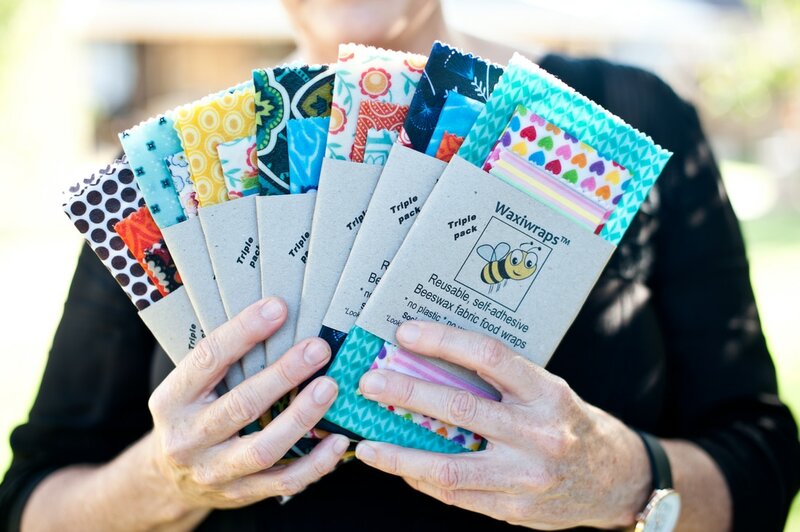 The blend ratios were tested and finally satisfied, fabric sourced and bulk suppliers of raw materials established, and Waxiwraps was off and running, launching at the Albany Boatshed markets in August 2016. Through August - December we established ourselves with sales at the Boatshed and kept tweaking the finer details such as creating descriptive labelling, how best to package our product and we began visiting markets such as the Denmark markets later in the year. Nine months later and we are working on our systems and thinking about how to best market our product. Jason is working on designing a machine to automate our dipping process and is working with Albany Engineering to build a prototype. We sell in 3 areas: online (via our Etsy store), face to face markets (this is great for consumers as they can see and feel the product and choose the style and colours they like), and wholesale to shops (we currently have 9 stores stocking our product). 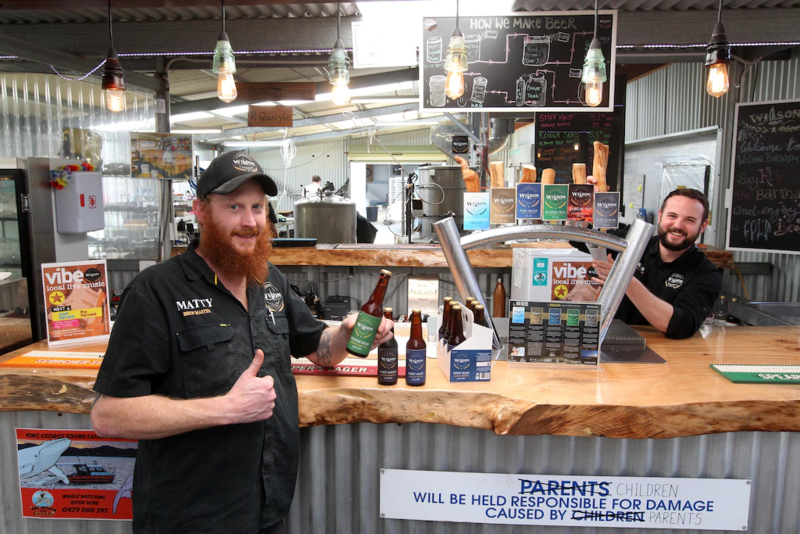 We have increased our production levels and travelled to several markets in Perth and surrounding areas in the past 9 months, continually bringing our product to the live market and obtaining feedback. Our Etsy online store is performing very well, with orders now rolling in from all around Australia and recently we sent a package to VErona, Italy. 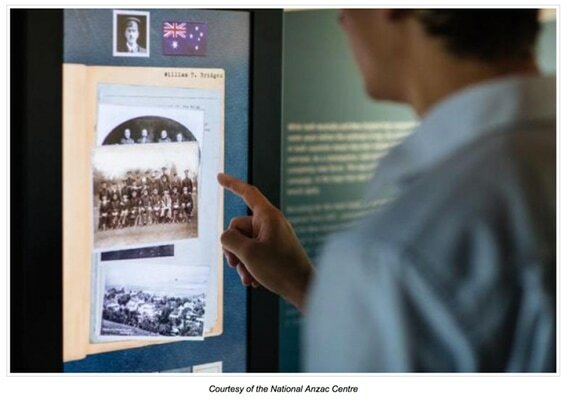 THE NATIONAL ANZAC CENTRE (NAC) WAS VOTED AUSTRALIA'S BEST MUSEUM IN THE TRIPADVISOR TRAVELLERS’ CHOICE AWARDS 2016 AND WAS WINNER OF BEST HERITAGE TOURISM PROJECT AT THE WESTERN AUSTRALIAN HERITAGE AWARDS 2015. DESIGNED BY THE GIBSON GROUP (NZ) AND MENTAL MEDIA (NSW) IN COLLABORATION WITH THE WA MUSEUM AND THE CITY OF ALBANY, THE NAC HOUSES A NUMBER OF INNOVATIVE TECHNOLOGIES WHICH ENGROSS VISITORS AND HELP PRESENT AN ENORMOUS AMOUNT OF INFORMATION IN AN ENGAGING AND ACCESSIBLE WAY. A RANGE OF UNIQUE INTERACTIVE EXPERIENCES WERE DEVELOPED FOR THE NAC WHICH ALLOW VISITORS TO FOLLOW INDIVIDUAL STORIES AND LEAVE TRIBUTES. IN AN ERA OF SMARTPHONES, INSTANT MESSAGING AND TOUCH SCREENS, THIS DIGS PRESENTATION PROVIDES AN OPPORTUNITY TO SEE HOW NEW TECHNOLOGY IS ENRICHING MUSEUM AND PUBLIC COLLECTIONS.